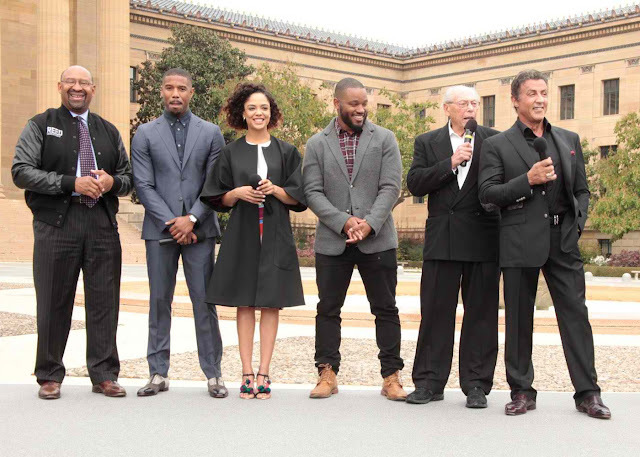 Home / TALK OF THE TOWN / Philadelphia Proclaims Nov 25th as "`CREED' Day"
Philadelphia Proclaims Nov 25th as "`CREED' Day"
PHILADELPHIA, PA – November 6, 2015 – Standing atop the Philadelphia Art Museum’s iconic steps, Philadelphia Mayor Michael A. Nutter proclaimed Wednesday, November 25th “Creed” Day in honor of the upcoming film—which explores the next chapter in the “Rocky” saga. Joining Mayor Nutter to receive the official proclamation were Stallone himself and fellow “Creed” stars Michael B. Jordan and Tessa Thompson, and the film’s writer/director, Ryan Coogler, and producer Irwin Winkler. 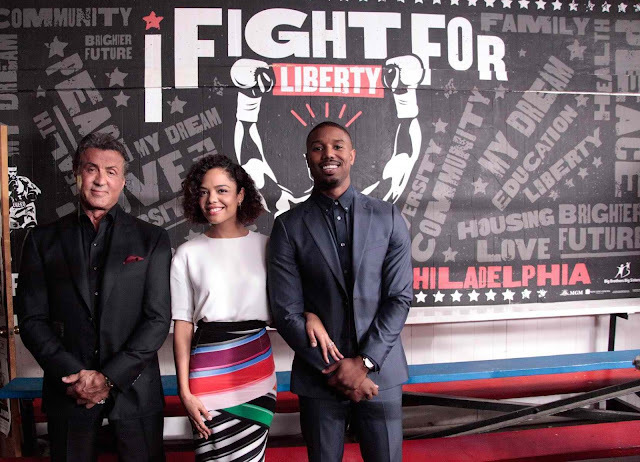 Mayor Nutter also gifted the team from “Creed” with individually inscribed miniature Liberty Bells to mark the occasion; they, in turn, presented the mayor with a framed rendering of the mural, created as a special tribute to the city, that was installed this morning at the Front Street Gym in North Philly, a location that features prominently in the new film. Following the presentations, former football star Vince Papale—who, much like Rocky, went from underdog to hometown hero to sports superstar when he became a walk-on Philadelphia Eagle—opened the floor for questions from the press in attendance. “Creed” also stars Tessa Thompson (“Selma,” “Dear White People”); Phylicia Rashad (Lifetime’s “Steel Magnolias”); and English pro boxer and former three-time ABA Heavyweight Champion Anthony Bellew. Ryan Coogler directed from a screenplay he wrote with Aaron Covington, based on a story by Coogler. 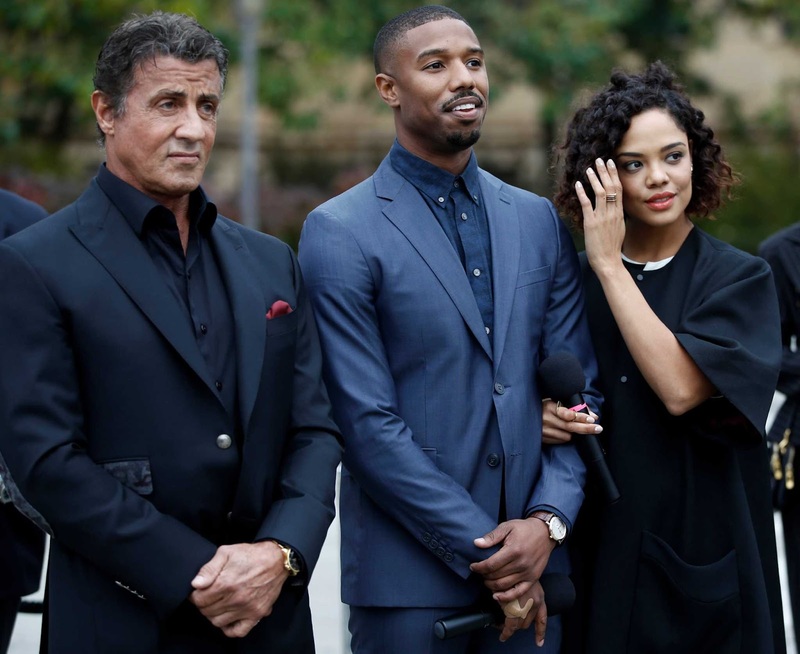 The film is being produced by Irwin Winkler, Robert Chartoff, Charles Winkler, William Chartoff, David Winkler, Kevin King-Templeton and Sylvester Stallone, with Nicolas Stern executive producing.